We all know how curious kids are and how they constantly ask questions. That’s why we created a fairy tale book game to give answers to the curious questions of our children. These answers are not dry or only encyclopedic knowledge. 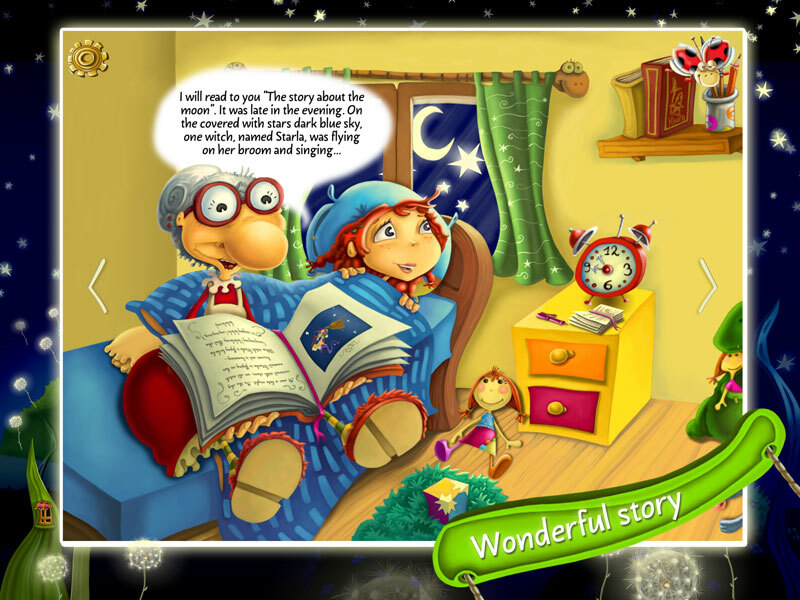 They are fun stories, which enable children to develop their imaginations. But we didn’t stop at just the idea to give answers. We decided that it would be much more fun if we gave more freedom to the child, to participate in fairy tales and even give their personal answers to the questions. And so it happened, as did the whole interactive story. To move from one part to another or a different place in the story, the child has to interact with the character who is talking or take action of some sort. Thus, we secretly teach our children to make their own decisions in life and not just wait for things to happen, but to make them happen for themselves! 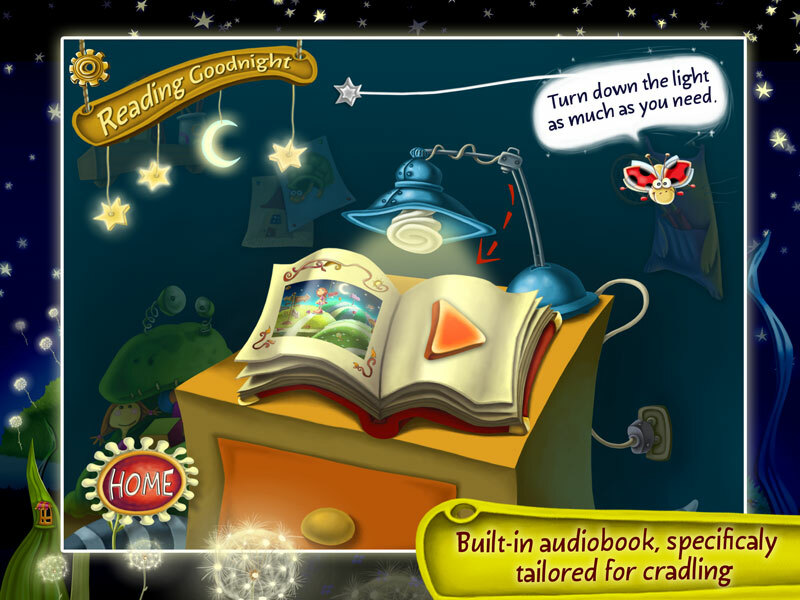 In this game, everything the characters say is also written in a text dialog balloon that pops up from the corresponding character, and in a special panel of the story guide –The Lady Bugster, where they read the rules of the game. We did this to allow children with impaired hearing to also make the most of the game. And we decided to merge it with the comic book style of speech (those dialog bubbles) as an addition to the illustrations of the story and the result is stunning. Part 1 - "Who lit the Moon?" 1. In the first scene, the Lady Bugster shows the player what the game is and how to play it. 2. You can’t make your child to clean their room! Who can! :) Well, we at least try to do so with a wave of a magic wand - see here! Two games of observation and imagination. 3. The Fairy Dreamlight will show children the most fabulous time! But the goal is for the child to sort the mess of numbers and return them to their right places on the watch. And then they have to turn the arms of the watch to 10 different times given to them by the Lady Bugster. If the child needs it, there are hints and tips to help them along! 4. Thelma’s grandmother reads the book "This and That" –two fully interactive scenes where everything can be touched and moved. 5. 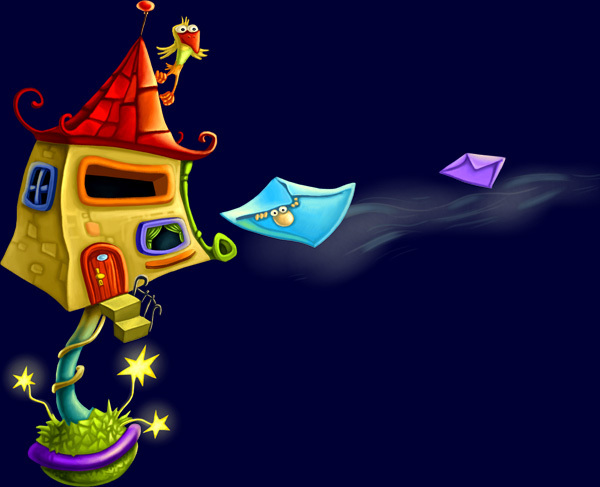 The postman delivers a letter to the witch Starla - there are several games which exercise observational powers. 6. 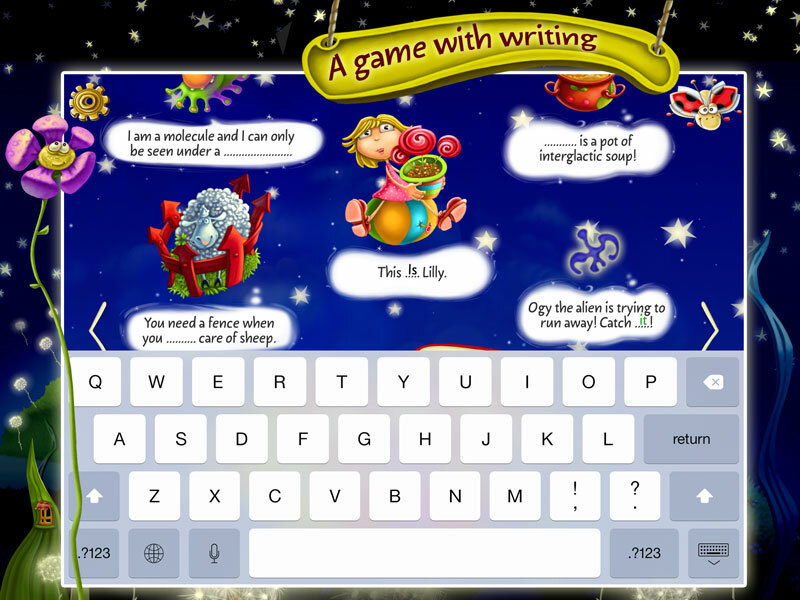 This game requires a bit more expertise and is for children from 5-6 years old and up! In this part a strange alien language is being spoken, combined with a series of logic games in which a child must decode the alien speech. Finally, the player should write the missing words in the foreign language translation machines. In this part, an adult or older child can help the player if they are having trouble. One of the main ideas of our tale is that parents will play with their children! It’s often needed only for the first play. Children are very receptive to the game, and after just a bit of time with it, it’s quite possible that they are the ones ready to help their parents! In any case, though, we have put tips here too. Meet Thelma More. It is not accidental she is named like this! She is so curious that she constantly asks questions of everything around her, always eager to know more! Well, thankfully she has a good and calm grandmother who is armed not only with patience, but also with a big old book that knows the answers to all the questions of her curious granddaughter. This is the book "This and That"
But we almost forgot to introduce you to The Lady Bugster! He is an important character in the story - in fact, he’s our guide! He walks around the story and introduces the characters, and will help us in the games! Here's how our story begins! But for all that it’s a story, its true! Believe us! One night Thelma asked her grandmother: "Who lit the moon?" and as an answer, the witch Starla appeared next to the great book, "This and That"! Wait a minute though! She’s a good witch and you and I will follow her adventures tonight. This is NOT the end, but only the beginning of the midnight adventures for Starla. 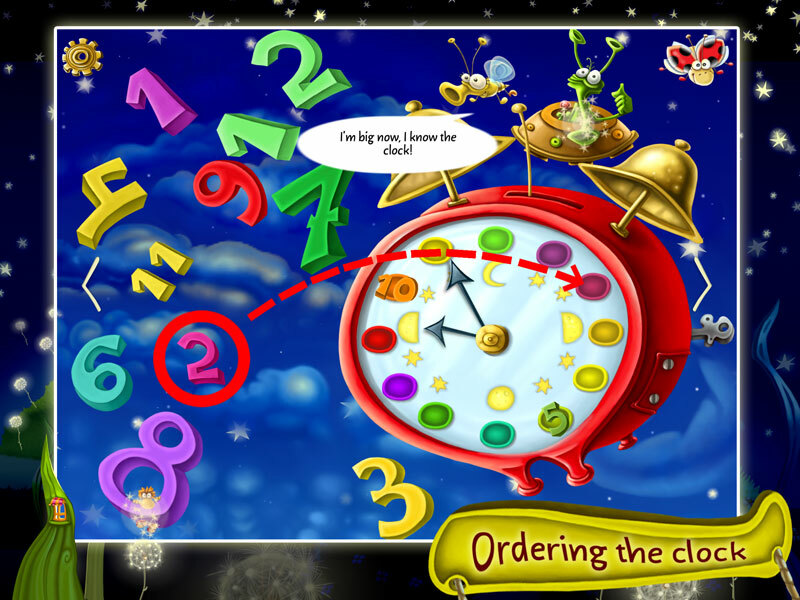 She will continue her crazy flight soon and will reveal new challenges - a series of games for coloring and new logic game with a big Christmas surprise! Part 2 will be the middle part of the story about the moon, which will follow the adventures of a flying witch with a lot of laughter and fun games. Expect it in January –coming soon! 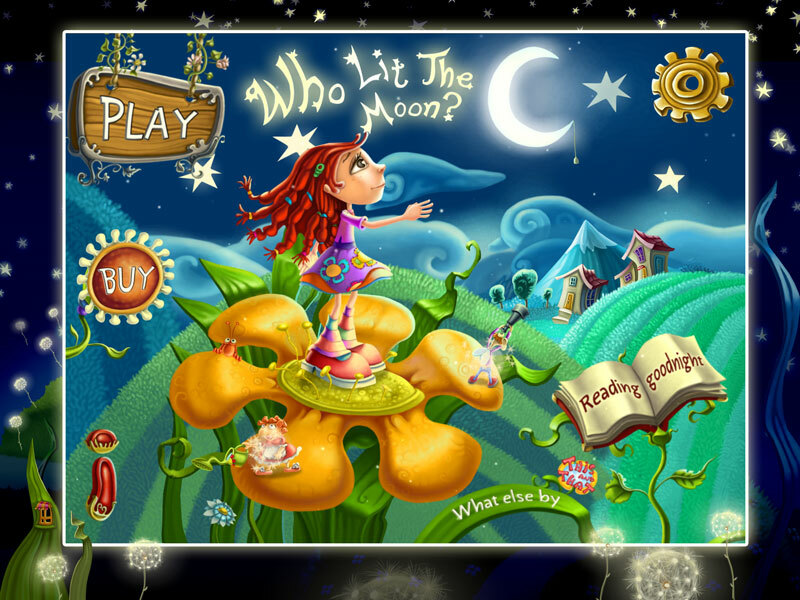 TAT Creative is a young company, created specifically to start working on this fabulous series of children's games. In the beginning (in 2010) the book "Who lit the Moon?" was published in a printed version together with a disc which included games playable on a computer. 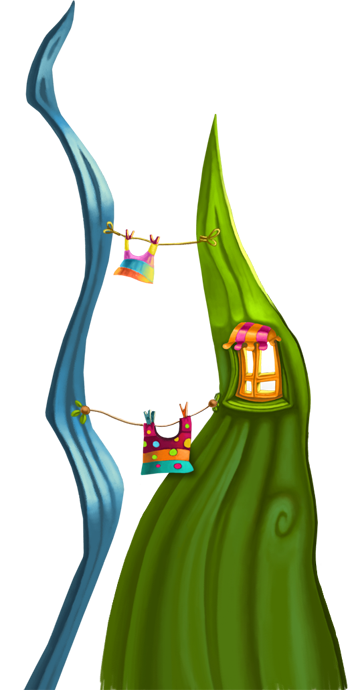 TAT Creative - NOW: We have developed mobile versions of the games, improved quality and created a fantasy world that will thrill all children with the first part of the story. TAT Creative – THE FUTURE: What we want to do: a series of various innovative games through different forms and means to reach the attention of children, to help them know themselves and their emotions better, learn and strengthen their characters and to build a strong and creative personalities. 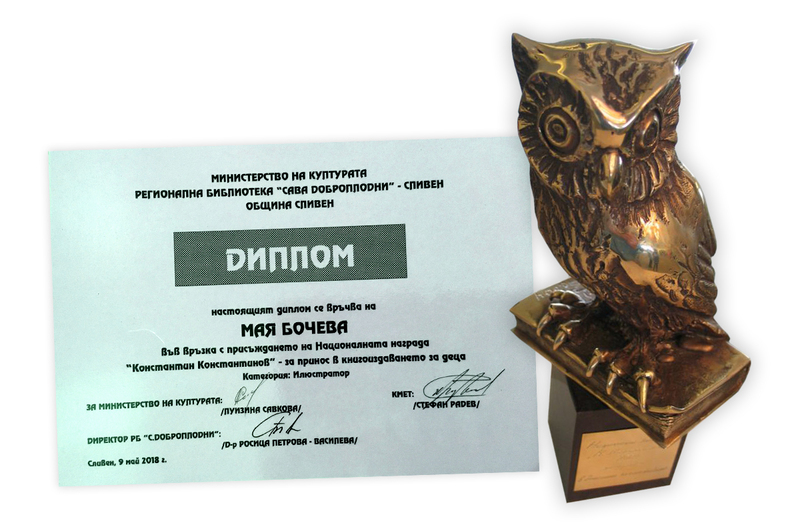 This site was created by- Tihomir Petkov, (who also made the first version of the game for PC). Special effects in the songs and video (and others too!) - Ivan Berov. And of course – a special thanks to everyone who helped and supported the project - and who continue to do so!